Keeping your restaurant fresh in the minds of the public can be a daunting task. There are so many different restaurants out there that it’s easy to get lost in the shuffle. With all the possible choices out there these days, word of mouth can not often be relied on to get the word out and bring in new business, and even the most satisfied customers are faced with so many choices that there’s no guarantee you’ll see them back at your place anytime soon. Thankfully, there are many digital solutions out there that can help your restaurant, cafe, or bistro stay in the forefront of people’s minds, even long after they’re last sat at one of your tables. Websites and apps are great, but one of the best tools out there is good old-fashioned email. Email allows you to send direct messages to your customers, where you can remind them about your cuisine, let them know about upcoming events, entice them with mouth-watering descriptions of your latest specials, and encourage their return with handy coupons (if you do coupons). The problem with email is that it only works if you have customers on the other end actually reading the message, so it’s important to work on developing a large list of recipients. Here are some ways that you can build that list to make your email campaigns as effective as possible. If you offer free wi-fi at your restaurant, then you already have what is probably the most effective way to build your email list. 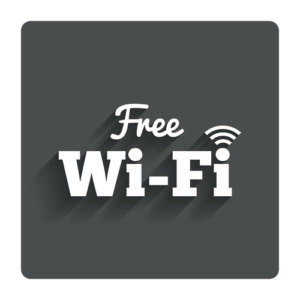 (And by the way, if you DON’T offer free wi-fi at your establishment, you really should reconsider, but that’s a different topic). By putting a “gate” on your wi-fi — an initial screen that requires some sort of sign-in credentials, like a password — you can require that customers enter a valid email before being allowed to connect to your network. Considering that most people can’t seem to get through a meal without checking their social networks half a dozen times, which uses up tons of personal data, you’ll find most people more than willing to give their email addresses in exchange for a little wi-fi. Rewards are nothing new, but in addition to being great customer loyalty programs, they can also be a very efficient way to collect email addresses. Simply make sure that an email address is part of the information given when new customers sign up. By having them use that email address as part of their sign-in information, for when they check their rewards status, for example, you can also track which email addresses are frequent visitors to the site, which allows you to target those addresses with special offers and incentives that go to customers you know have a high chance of coming back often. It seems like every grocery store, big-box retailer, and restaurant now has some sort of survey for customers to fill out in the hopes of winning some sort of prize or discount. These are usually at the bottom of the printed receipts, and while they can offer a chance to hear good feedback and advice from customers, they have an even better and more useful function: developing and maintaining contacts with customers. 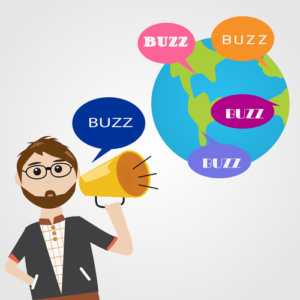 Word-of-mouth can still be a great way to get people to tell their friends about your business. How do you do that in a digital age? Encourage people to forward your email offers to their friends. This is especially effective if you have a special event to promote. Send out an email announcing it, and ask your customers to forward the message on to a friend. This is most effective if there is an incentive. Have customers show you the forwarded email on their phone when they come to the restaurant for an additional discount, for example. Make sure you include a link in the email for the new customers to sign up, so those new customers will also become new email recipients. You can also do a similar thing on your social media pages. Encourage subscribers to post links to your pages. Screenshots of these posted pages can be used for incentive purposes as well. This is another old idea that can have new life in a digital age. Host a contest — give away a free weekly dinner, or a monthly office lunch (whatever works best for your restaurant). People can sign up through email, through business cards — again, whatever works best, but in the end, YOU have their email address and an ever-growing list of customers to reach out to — and what’s even better than this is that, in the end, you are getting people excited about your food. That free dinner this week becomes a visit to your place next week, and after two or three good meals you have a loyal customer who has had some great experiences, and wants others to know about them. Use these tips to help expand your distribution list and build a network of loyal customers. As this list grows, you’ll find that the effort you’ve put into this is well worth it.